It’s been a while since the last time I’ve posted an infographic contents about Thailand. Today, I would like to talk about Thailand’s iconic markets everyone love, floating markets, but I would be specific only floating markets in Bangkok first. I’ll be talking about how come and why both foreign travelers and local folks love this kind of market. 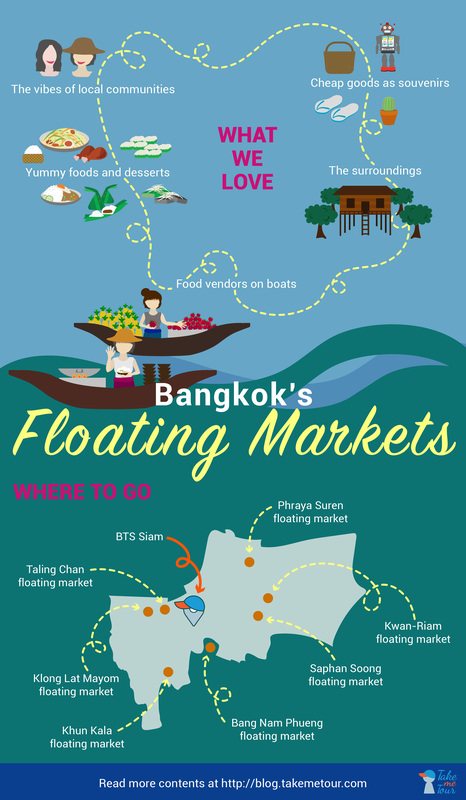 Also, I’ve picked ones of the best/ most popular floating markets in Bangkok you should definitely pay a visit. 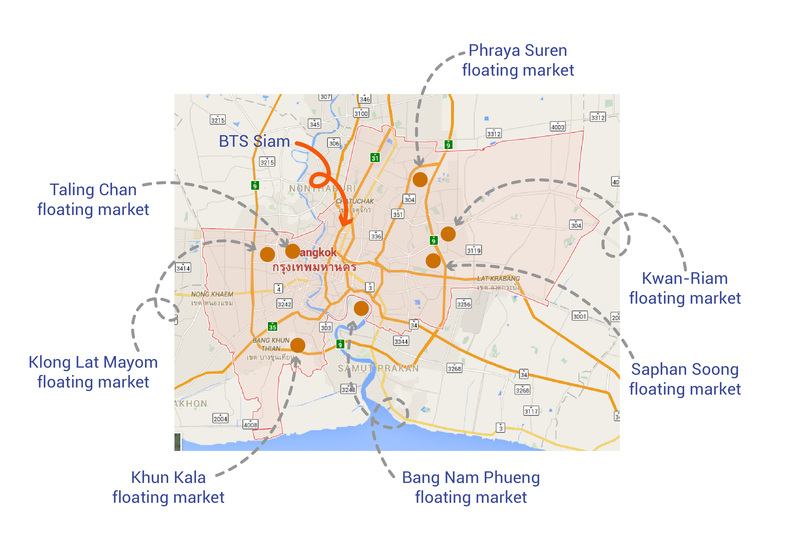 So…why do we love floating markets anyway? Where else can you find these fun, yet authentic, food venders on boats? Yes, you only get to see this unique sight only at floating markets. They usually sell quick meals, desserts, drinks, and fresh produces. The surroundings of floating markets often represent ancient communities by riverside; traditional houses, fresh markets, long-tail boats, and lots of trees. You would definitely feel like you live in an old era of Thailand when the main transportation was via boats. Shopping at a floating market can be one of the most affordable things to do in Bangkok…lol… Many good foods and products are handmade. Some are vintage style which are very nice to buy as souvenirs. It’s not like everyone in Thailand get to have this beautiful local vibe everyday, especially, if you live in Bangkok’s CBDs like myself. So, it’s quite nice to have a change of a mood by visiting floating markets during weekends. Experience the different local liveliness and a more peaceful side of a city. 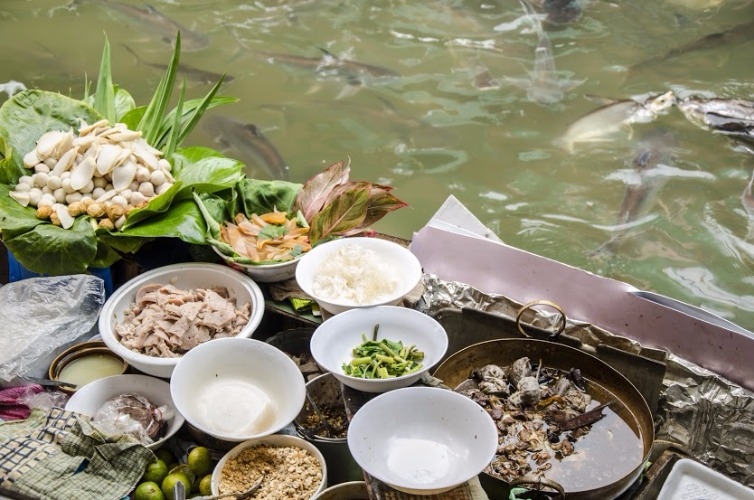 At floating markets, we get various food vendors on boats by riverside which means you get to try many different kinds of local yumminess; Som Tum, several types of noodle bowls, Pad Thai, grilled seafood, etc. 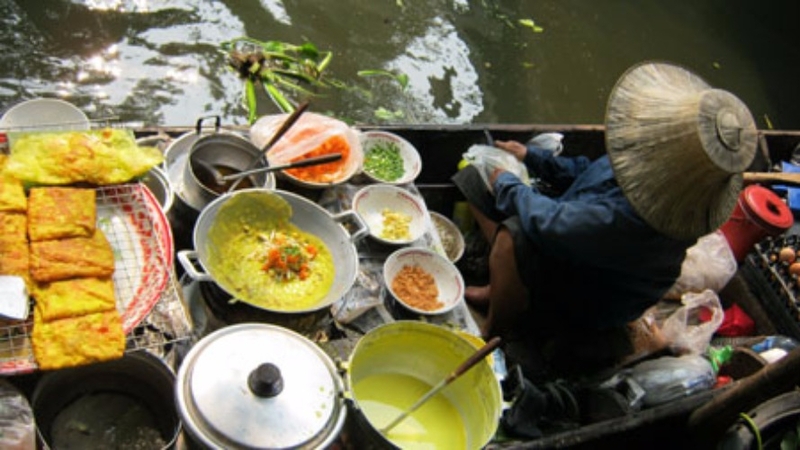 Some traditional dishes are hard to find in downtown, but you can easily find many of them at a floating market. It’s a good thing we do have several floating markets in Bangkok, so we don’t have to go all the way to other provinces just to visit one. But, where are those markets anyway? Check out my 7 best picks of Bangkok’s floating markets you should pay a visit while you are here. Located in the heart of Bangkok, the famous floating market has both the natural surrounding and the local lives along canals. The market is surrounded by an orchid farm and seasonal fruit plantations. You will love the vibe and also the yummy foods and desserts there. 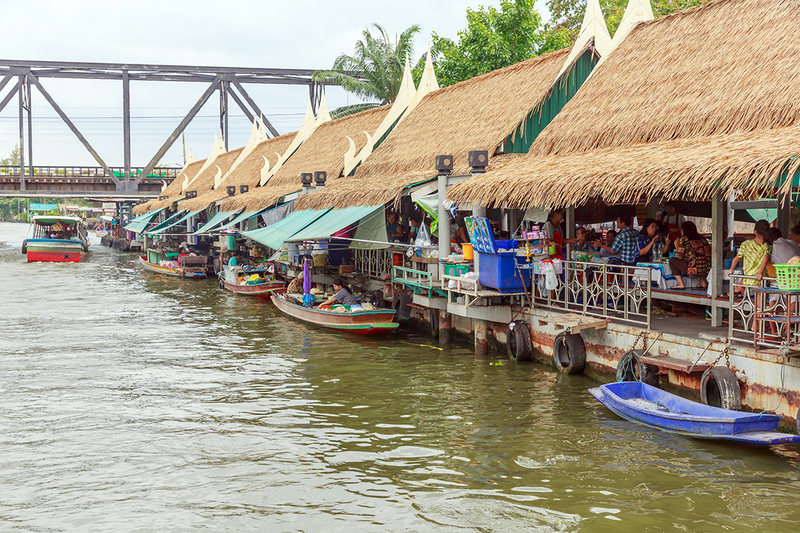 This lovely market is one of the authentic floating markets in the suburb area of Bangkok. 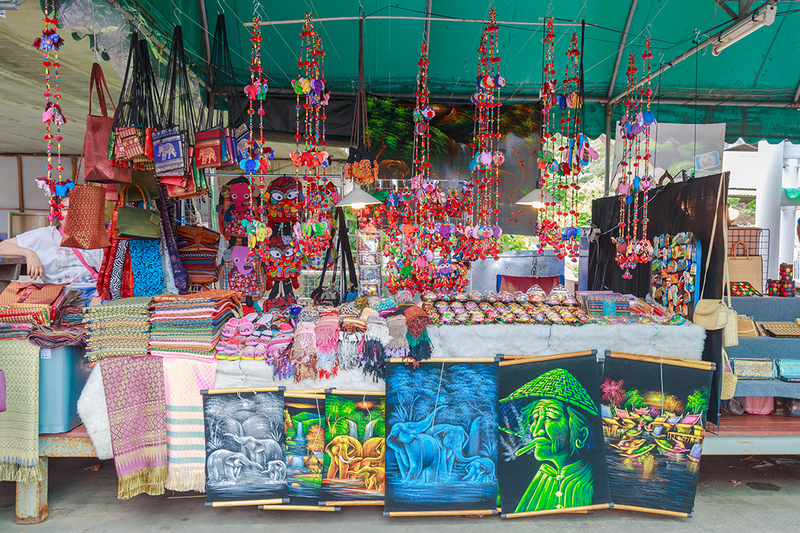 Though the market is not as big as those famous ones, It’s filled with many varieties of goods; handmade stuff, artworks, souvenirs, tress, etc. Not to mention about local street delights. The floating market is newly open only for weekends and national holidays. It’s surrounded by greens. 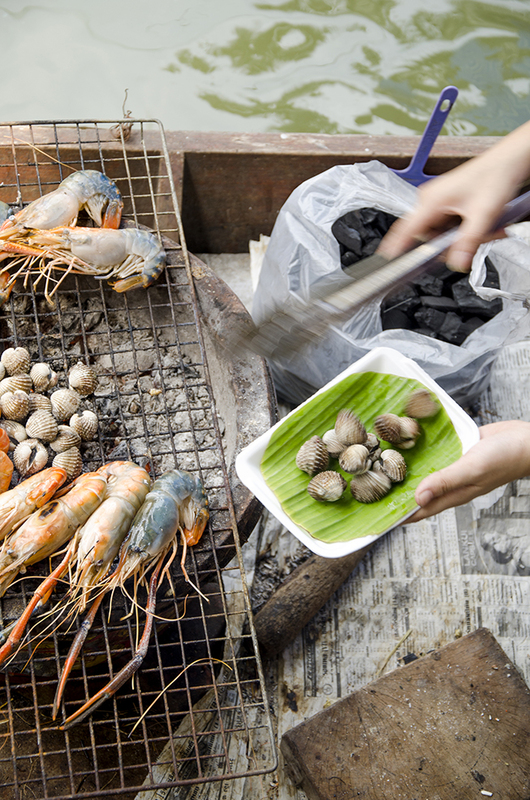 Since the market is located in Bang Khun Tian area, seafood is a no-miss. Moreover, you can cycle around the market, feed local monkeys, and join a small local workshop. This floating market is located in Samut Prakarn, however, it’s super easy and convenient for visitors to travel to the market. Taking a ferry across Chao Phraya river, you will reach a district which we called “Bangkok’s green lungs,” Bang Ka Jao. Bang Nam Phueng floating market is less-touristy and still filled with the real local vibe. A weekend floating market is well-known for its liveliness and traditional Thai desserts, handmade goods, and fresh produces. There is also a walk street nearby which you can enjoy stroll along from day ’til night. Unlike any other floating markets, Kwan-Riam floating market was built in order to imitate a location in a famous Thai romance-drama novel named Plae Kao, a Thai version of ‘Romeo and Juliet.’ It almost feels like you’ve traveled back in time. 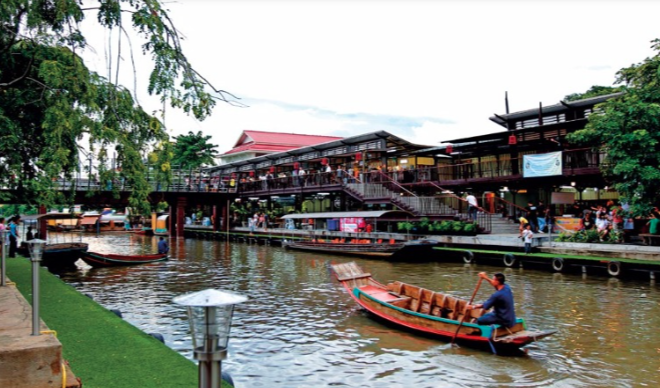 This floating market is filled of delicious Thai foods and desserts. 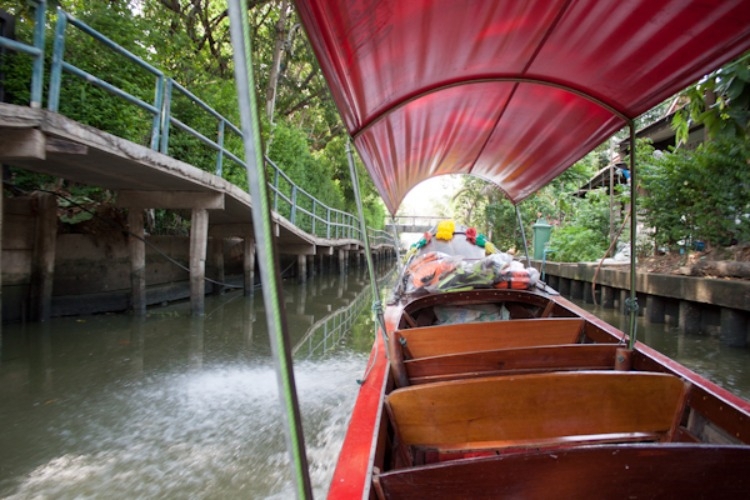 You can also take a boat ride to explore the surrounding along the river. The floating market has over 200 shops along the canals. Plus, the market, itself, has seasonal fruit plantations and a small sheep farm for travelers to experience the fun activities there. 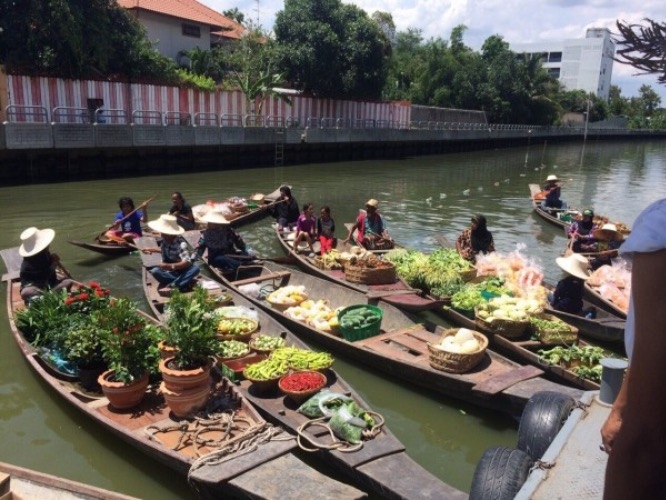 Love the floating markets? Stay tune for more information on how to travel to each floating markets, mentioned above. 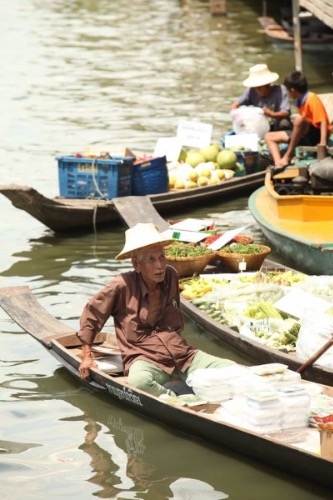 Comment and share you thought about your favorite floating market in Bangkok. Hope you enjoy this content.